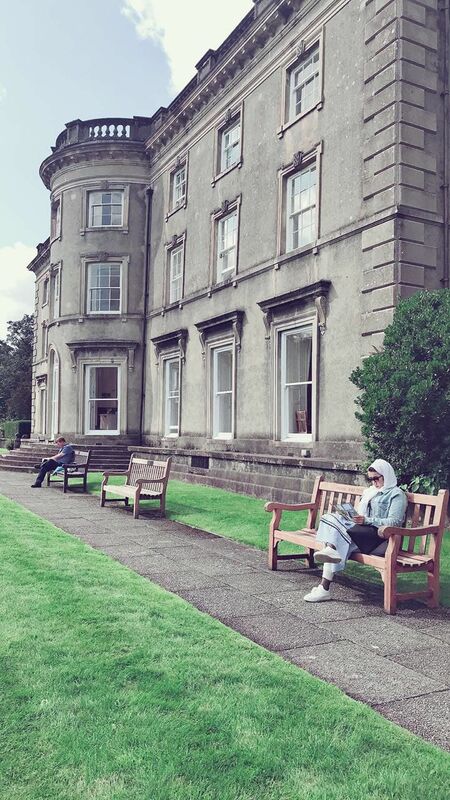 What impact does wearing the hijab have on Omani women in the UK? Hijab .. a small word but one full of different meanings. Some people think that “Hijab” is linked to terrorism and violence but others believe it is an essential part of their religion, beliefs and culture. 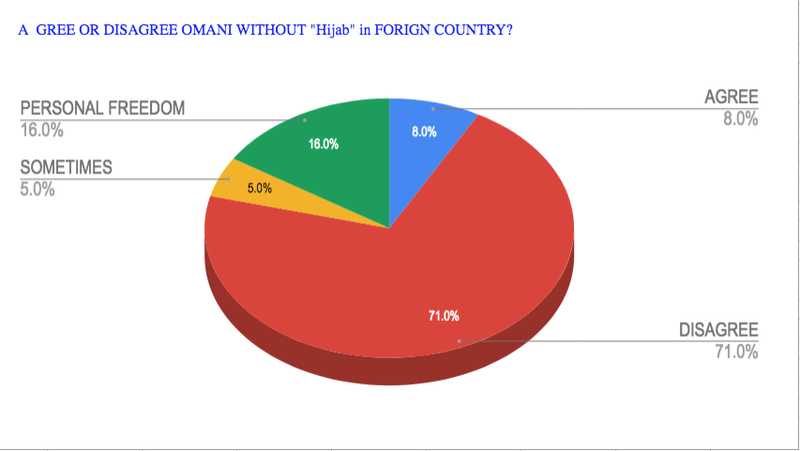 Oman is like most Muslim Countries, The “Hijab” is a part of Omani life especially outside Muscat ( the capital of Oman). Every year the government in Oman gives (Girls and Boys) around 1600 seats in foreign missions which 400 of them are to UK”, the Ministry of Higher Education said. Asma al balushi ( 31 years old) is an Omani doctor in Royal Liverpool Broadgreen University hospital. She says about her personal experience is that wearing the Hijab”in the UK has never been a problem. “I work in the hospital and interact with many people from different backgrounds. I never saw any of those people disrespect me because I was wearing the Hijab, she says. 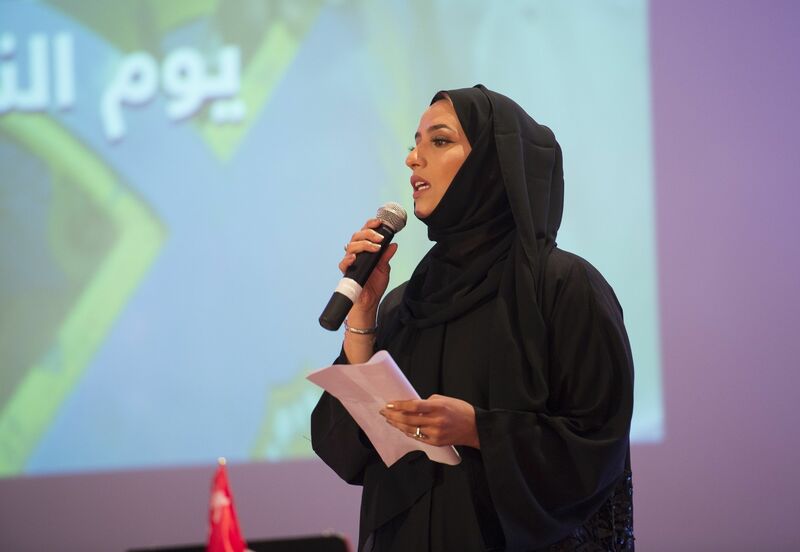 Buthaina Al Jabri (28 years old) is an academic advisor to the Omani cultural attache in the Oman Embassy in the UK. 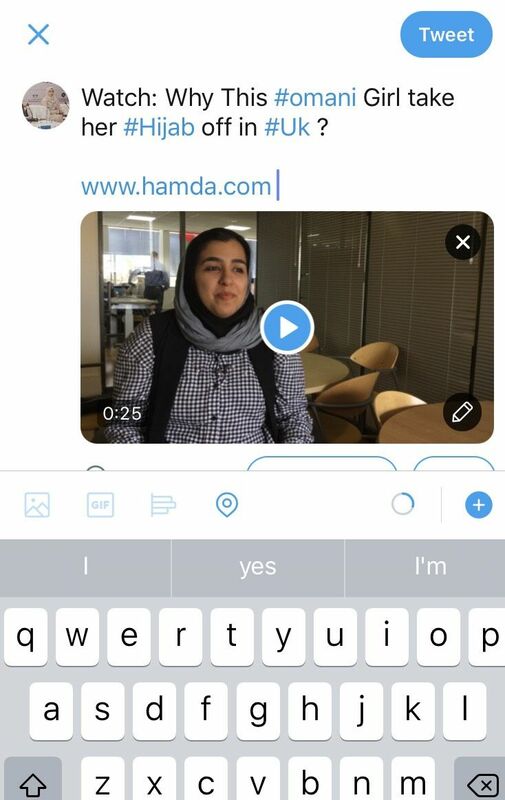 She says: “After my experience living in london for a while, I sometimes take the Hijab off when i used underground station late to give others feels “ I’m One of you” but i still wear it during the day, especially because I work in the Oman embassy in UK”. On the other hand, Buthaina agrees that wearing the hijab in the UK will not necessarily protect girls or women. It is unfortunate too, she says, that it can be a barrier for other nationalities who do not understand Islam or the Hijab. 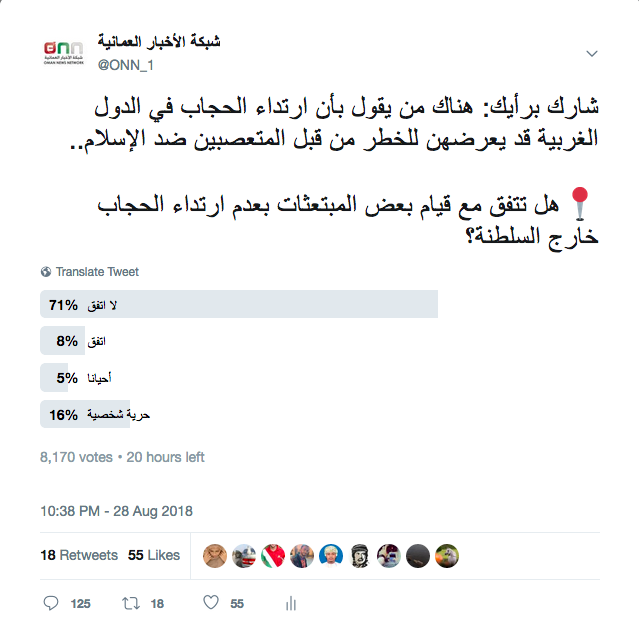 this tweet was seen by more than 50,000 people and voted by more than 8000 people.